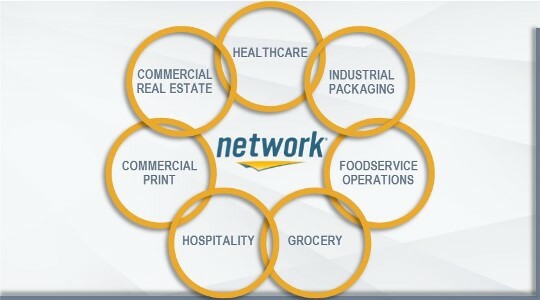 NETWORK has the expertise and geographic reach to meet your needs, across all of our core market segments. Get real-world expertise in the only market that really matters: yours. At NETWORK®, we’re more than just distributors; we’re category specialists. By focusing on a strategic set of core markets, we offer higher levels of insight and expertise — and that can have a dramatic impact on your business. From janitorial supplies to foodservice disposables, industrial packaging and so much more, NETWORK delivers a full range of innovative product solutions from the world’s top suppliers. Stay up-to-date with the latest news from NETWORK members and beyond. Learn how NETWORK's unique structure delivers custom business solutions.